Best Value. Please compare our prices with other Cellular Blinds. 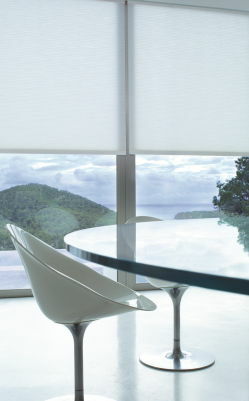 Honeycell are our new Cellular honeycomb blinds. They have always been popular due to their aesthetically pleasing design and simplicity. They have superb insulation properties, keeping you warm in winter and cool in summer. Due to the minimal gaps on the sides and the air pockets between the 2 fabrics that protect against heat loss and heat gain. Continuous chain operation. More information and instalation manual available via link on each product page or click here. Blinds On The Net are expert suppliers of both ready-made and custom pleated cellular and honeycomb blinds, with an extensive range to choose from online. We offer the best pleated blinds due to our high quality and discounted prices. 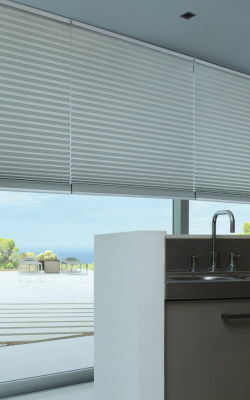 We also stock a large range of aluminium venetian blinds as well as panel blinds and vertical blinds. We provide free delivery of our blinds Australia wide for your convenience – conditions apply. Order your FREE samples of our pleated cellular blinds online and see how they can make a positive difference to your home. Before you order our honeycomb blinds online, use our measuring guide. Call Blinds On The Net today on 1300 852 912 – we also provide installation videos, instructions and honest reviews on all honeycomb and pleated cellular blind products so you can be sure you’re receiving nothing but the best. Delivering quality pleated, honeycomb and cellular blinds Australia wide.